The first quarter earning reports for NCSoft have been released and it's largely good news for Guild Wars 2. 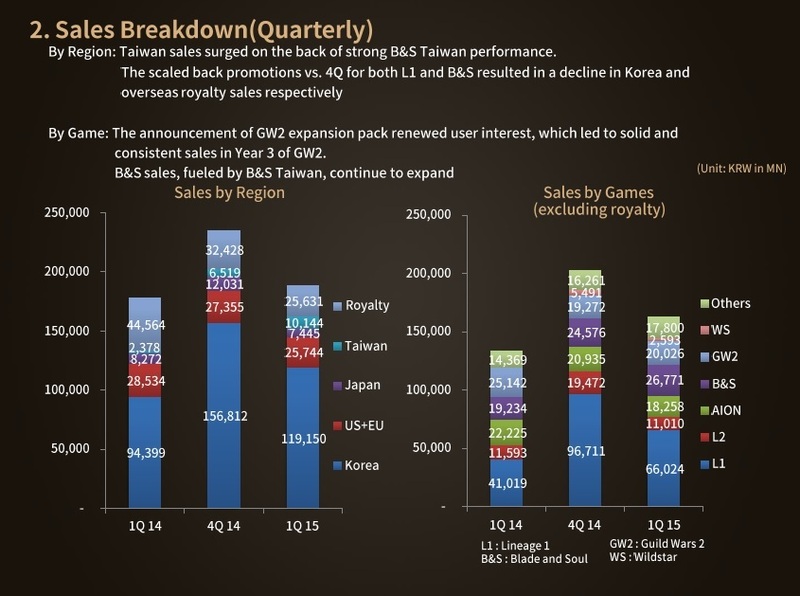 Guild Wars 2 sales are 20 billion Korean Won after 19,3 billion in the fourth quarter of 2014 (around 18 million dollars). In the conference call, NCSoft stated that progress on Guild Wars 2's expansion pack is going well and sales are considered "strong". They also added that the predict high sales for Guild Wars 2: Heart Of Thorns and Beta invites will be going out soon. Finally and as we all know, the market is leaning towards free to play titles.